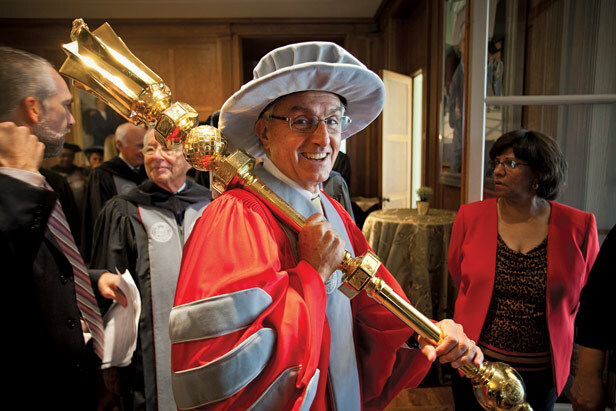 President L. Rafael Reif’s inauguration was filled with celebration. 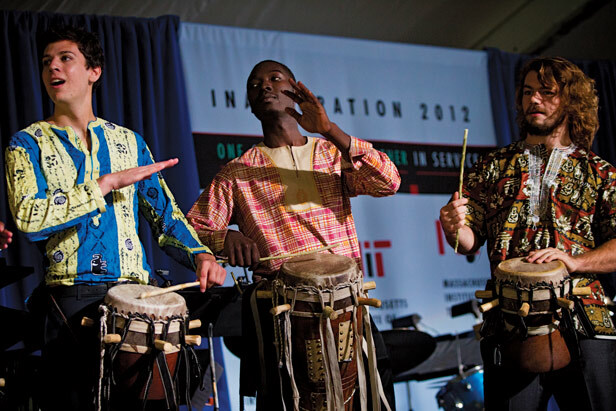 Members of the Rambax MIT Senegalese Drum Ensemble perform at the ceremony. 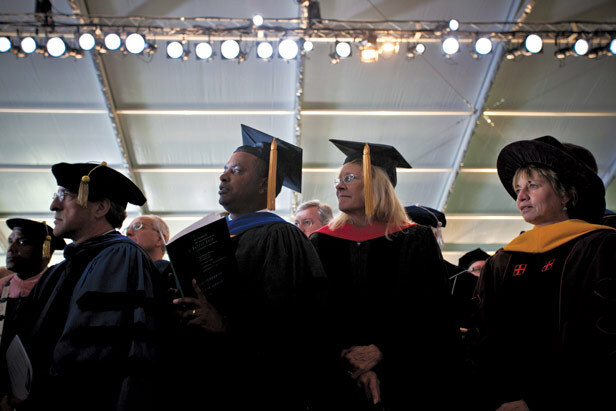 Visiting dignitaries, alumni, faculty, staff, and students witness the event on behalf of 101 academic institutions and learned societies. James Champy ’63, SM ’65, the chair of the Presidential Search Committee, leads the inaugural procession into Killian Court. 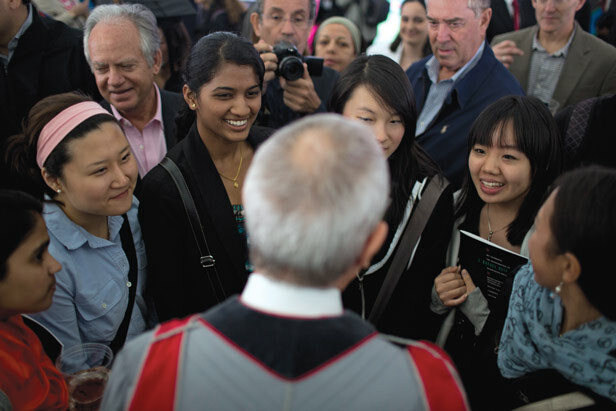 President Reif greets community members after the inauguration.